Coffee Republic plc, the British coffee and deli bar operator, will enter the Bulgarian market under a franchise arrangement with Property Links International. The news, announced in a filing with the British stock exchange, was confirmed by Coffee Republic’s partners in Bulgaria. This is first international deal for Coffee Republic. The first outlet of the British cafe chain will like open in a mall-like shopping and entertainment center under development in Black Sea resort Sunny Beach. It is due for launch in mid-2007. 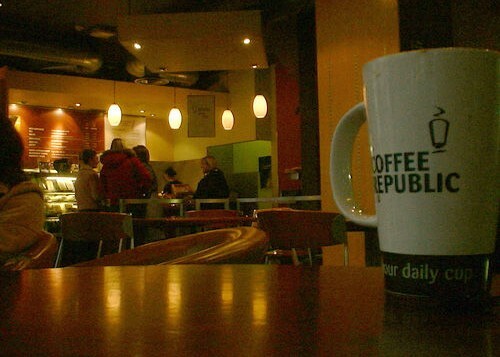 Coffee Republic is also in talks to lease outlets in shopping malls in Varna and Sofia, said the Property Links representatives for Bulgaria. The British company plans to open up to 10 cafes in Bulgaria over the next 3-4 years. Property Links is a master franchisee which means it can franchise the Coffee Republic outlets to third parties. Coffee Republic is the second speciality coffee chains to launch operations in Bulgaria. It follows in the footsteps of LSE-registered coffeeheaven which arrived here a year ago. Britain’s Costa Coffee is poised to enter the market within the next couple of weeks. Austria’s Testa Rossa also has plans regarding the Bulgarian coffee house market but is yet to make a move. coffeeheaven currently shares the market with locally-owned cafe chains Onda and Coffee House. LONDON (Reuters) – Overseas property investors should be wary of Bulgaria as market growth collapses and rental competition hots up, but prospects still look good in France and Poland, according to a report this week.Total annual returns on Bulgarian property have plummeted to 44 percent from 104 percent three months ago, according to the latest quarterly investment tracker from property investment firm Assetz.Annual house price growth in the country has slowed to 17.8 percent from 36 percent, with the Bansko ski region showing price falls of 2.1 percent. Property prices in Bulgaria as a whole only grew 1.6 percent in the second quarter, while the oversupply of investment properties has led to fierce competition for rentals. Stuart Law, managing director of Assetz, said: “This is an interesting time for many overseas markets. “Bulgaria is facing a period of readjustment after a huge initial foreign investment. While longer-term investors are still set to benefit over the next five to 10 years, as low cost property continues to attract holiday home-buyers, there are no longer instant returns to be made. House price growth in the American property market has also slowed, the data showed. It has fallen to 10 percent per annum from 12.9 percent in June, and is expected to slow further. With quarterly growth of just over 1 percent being the lowest since 1999, Assetz predicted negative house price growth in the US over the next 12 months. “The United States could be on the brink of a significant house price retracement,” said Law. Assetz expected to see the exchange rate reach more than two dollars to one pound sterling — spelling losses for those investors who bought property in the US for cash or re-mortgaged a UK property to buy, but potentially good news for investors planning to buy property Stateside next year. Returns were found to be the highest in France, while Polish property has also putting in a strong performance over the past year. 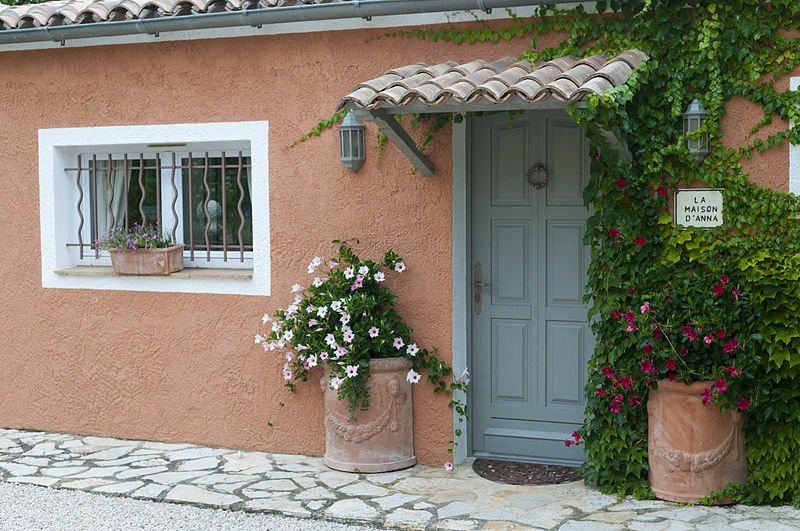 With a consistent rental market and capital gains of 9.1 percent, French property investors are now enjoying a total annual return of 62 percent. In Poland, low property prices, good bank lending and capital growth of 20 percent in the past year — driven by accession to the EU and the arrival of low-cost airlines flying to the major cities — has boosted investors’ interest. Here, total returns have reached 61 percent in the past year. The UK, meanwhile, ranked fourth behind France, Poland and Cyprus. Gross rental yields of 6.04 percent and capital growth of 7.4 percent have pushed total returns on cash invested a year ago to 47 percent. “The effect of UK immigration has been massively understated, but it is resulting in increased rental incomes, reduced void periods for investors and strong house price growth,” added Law. He predicted UK house price growth of some 5 percent per annum for the next three years. Property prices were registering the highest increase in East European countries, data of the British property company Knight Frank, presented in Financial Times shows. Japan continues struggling with price decrease, the report said. Property in Hong Kong was also losing value after a previous boom. Worldwide, property has become 8.5 per cent more expensive, the analysis showed. Significant price increase was observed for property in Bulgaria and Estonia. According to the analysis the increase resulted from the equalisation of prices in Europe. 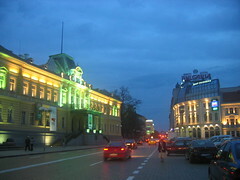 Because of investor interest property prices in Bulgaria went up by 20.5 per cent. According to predictions Slovenia and Slovakia would become Europe’s property hotspots in the coming year. Economic recovery would also bring up property prices in Germany. Bulgaria’s vacation property maintained its status as the most profitable real estate investment. A research of imot.bg showed that most luxurious vacation property was located in the coastal Sunny Beach resort, Dnevnik newspaper reported. More than 1600 vacation apartments were offered for sale. Nearly half were located in Sunny Beach. The development, however, did not affect prices. Despite the steady supply prices remained high, real estate agents said. Most owners offered two-bedroom apartments. Average prices of sq m in Sunny Beach reached 975 euro. In Sozopol resort the average price was 930 euro a sq m. Apartments still under construction sold cheaper. In other coastal resorts like Ahtopol, Nessebar and Pomorie prices varied between 580 and 700 euro a sq m, Dnevnik reported. Three-bedroom apartments were not offered that often since investors dealt cautiously with such projects. Demand was not high enough yet and most property seekers still preferred two-bedroom apartments, Dnevnik reported. DRYANOVO: British families are buying houses and settling down in the picturesque region of Dryanovo in central Bulgaria as local inhabitants escape abroad in search of work. At the foot of the Balkan mountains that give their name to this part of southeastern Europe, former army pilot Keith Davis and his wife Angela have made a traditional house in the village of Gostilitsa near Dryanovo their home. Under Bulgarian law, only foreign enterprises, as opposed to individuals, can buy land so the Davises founded a company called Outdoor Adventure and they hope to set up an adventure sports school and have horses for hire. “It is a beautiful country. We sought to live in a place that is more natural, more unspoiled, where people are not corrupted by Western values,” Angela said as, surrounded by her three dogs, she went about restoring faded pictures on an old chest. The couple will have to wait to use the diving pool they had built however, as the old infrastructure more often than not fails to bring running water to their place. “When we have running water, we do not have electricity and vice versa,” Scottish gallery owner Joice McGlone added with a smile rather than a frown. She and her husband Peter believe they have found a home away from home in their house with a vast courtyard and a panoramic view high up in Gostilitsa. But the spot reserved for the McGlones’ pool is also waiting for better days and Peter has had to buy plastic containers to fetch water from a nearby spring for daily household use. Their Bulgarian neighbour, Desislava Dianova, is happy to be able to practice her English and make her young son learn the language. They are helping the McGlones renovate their house and keep an eye on the property while the Scottish couple is away. 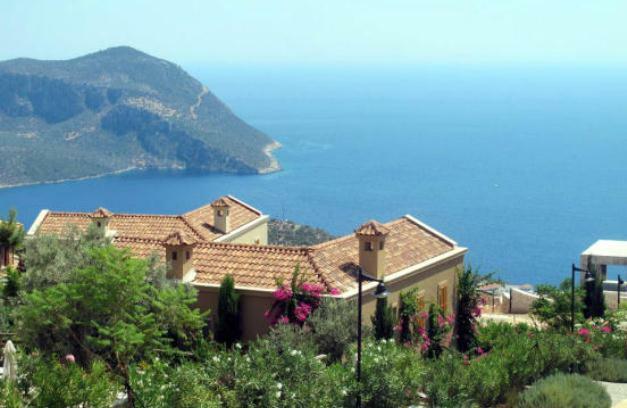 “Foreigners bought more than 70 houses here, mostly the British, but also Italians and one Belgian who runs a biodiesel farm,” according to village administration official Diana Stefanova. A government report released Thursday showed that 1,152 British nationals applied for long-term stay permits in 2005, half as many as the year before. “Interest in buying property in Bulgaria dates back to two or three years ago as a result of more competitive prices than in Spain, Portugal and Croatia,” said Julian Georgiev, a co-owner of the Bulgarian-British company SimpliBulgaria, which is now building a complex of holiday houses outside the village of Gesha. The houses are built in a traditional Bulgarian Renaissance style but British owners can still feel at home with separate hot and cold water taps on sinks rather than the usual single tap. “We are responding to a worldwide trend of growing interest in eco tourism. Investment project analyses in Europe show that prices for this type of tourism are two times higher than for traditional seaside vacations,” according to Georgiev. Some 200 workers are helping to build the complex and between 60 and 70 people will then work in it, which does not count for nothing in a region with 12 to 13 per cent unemployment. In the regional centre of Dryanovo, employment is suffering from lowered production capacity at the waggon manufacturing plant, formerly the town’s main employer. “Many people have sought work abroad… but we are counting on tourism to reverse the trend,” Mayor Daniel Dankov said. “One out of ten inhabitants is in Greece, Spain, Italy or the United States,” according to Iliana, who also used to work in Greece as a caretaker for elderly people, but who has come back to care of her grandchildren. And for Vassil, a plumber who spends half the year working in Italy, especially in the vineyards, going abroad has made a great difference. “What I earn here is not enough to live on so I go with my wife and son, who has to skip school. 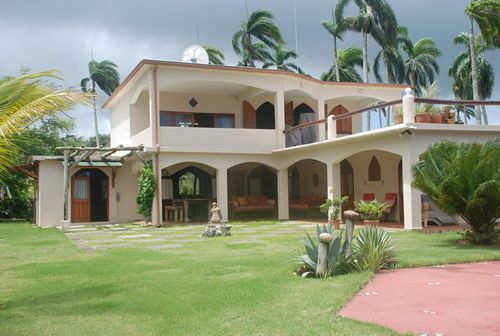 In two years, the work abroad earned us enough to renovate our house and buy a car,” he said. Sofia (BG) – City Center by Night Originally uploaded by Danielzolli. Sofia, Bulgaria’s capital and financial hub is currently experiencing a huge influx of international investment in its commercial/office real estate sector as it is expected to join the EU in 2007. Its first western style shopping mall situated right in the middle of Sofia city centre will be opened in 2 days time (March 12) and another mall will lauched in a few weeks time. 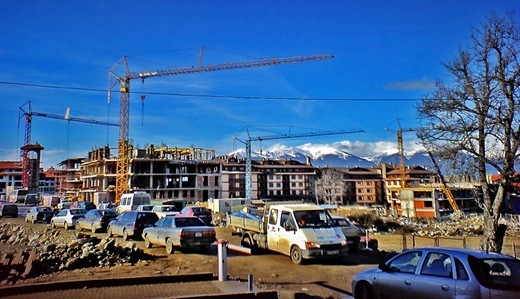 City Center Sofia will turn out to be the first of the three international-style malls under erection in the Bulgarian capital to welcome its first customers when it opens on 12 May, 2006. Equest Balkan Properties, the property Investment Company paving attention on commercial, retail and industrial property in South Eastern Europe purchased City Center Sofia in March for 94-mln euro in cash. A local construction company Stroytown had developed the mall project, with an initial investment worth 40-million euro. The new owner has hired Investa Property Solutions to administer the mall and related property. City Center Sofia mall comprises 44,424 square metres of built area and 22,146 square metres of lettable space on six levels, with underground parking for approximately 500 cars. The mall had 72.3 percent of the lease area contracted while the deal with Equest was announced. Along with the mall tenants are clothing and footwear retailers such as Nike, Puma, Kenvelo and Geox, fast food chain KFC, consumer electronics and white goods retailer Technomarket and food retailer Piccadilly. It will also house the first local outlet of Polish coffee/sandwich bars operator coffee heaven as well as six cinema halls, bank offices, a pharmacy, beauty parlours and a dry cleaning shop. Mall of Sifoa and Sky City are the other two big-box shopping centers about to be launched in the Bulgarian capital. Who would invest in property in a former Eastern Bloc country? They still haven’t recovered from the Cold War, they’re full of concrete tower blocks and they queue for vegetables, right? Wrong, at least as far as Bulgaria is concerned. Thousands of Britons have seen beyond the cliches and are pouring their hard-earned into the country. 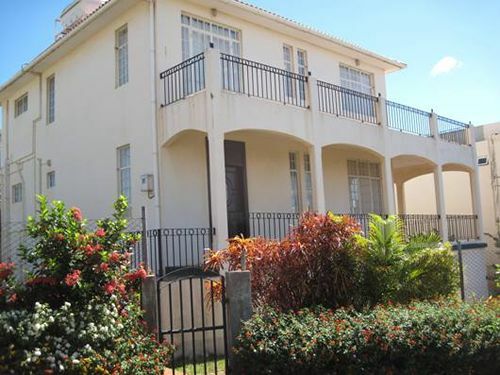 The property investment opportunities in this beautiful country, which is set to join the EU in January next year, fall into four main categories. The first lies in the capital, Sofia, which is growing economically and geographically faster than any other former East European capital. The property boom has now hit the centre, with locals themselves pitching into the market – always a good sign. With the country on the threshold of EU membership – and entry into the euro itself likely in about three years’ time – an international and transitory population in this “engine of the country’s growth” is inevitable. This means a huge demand for good rented accommodation. An average, two-bedroom, new-build apartment in the centre is selling for between £69,000 and £87,000, and values are rising almost by the day. The rental from such an apartment would be up to £700 a month, according to Robert Jenkin of estate agents Bulgarian Dreams. “These are fantastic investment opportunities in a city that is becoming more cosmopolitan and whose economy is stable and performing well,” he says. Drive two hours south and head for the mountains for opportunity number two. Bulgaria has a burgeoning skiing industry whose centre is undoubtedly Bansko, an ancient village at the foot of the Pirin Mountains. In the past two years, it has added on a huge number of apartment blocks geared to the winter season. Anyone with the idea that its winter sports infrastructure is bound to be third-rate should think again. It boasts a gondola from the town to the pistes that is second to none. “Every skier who comes here is impressed with the facilities,” says Gary Brierley of Bulgarian Developments. “It is certainly not the poor cousin of the Alps any more. But the countryside is great in the summer, too. People come here to buy an apartment as an investment, fall in love with the area and decide to spend time here themselves and use it as a holiday home.” A typical two-bedroom, new-build apartment costs £71,000, with the mouth-watering prospect of a rise in values of about 20 per cent a year. “The demand by British and Irish buyers for indoor pools, heated locker rooms and so on has added quality and value,” Brierley says. The Black Sea, with its sunshine, cheap beer and great food, beckons investors too. Locations such as Sunny Beach may be set to become the new Costa del Sol. There are signs that Bulgaria is throwing off its bottom-end-of-the-market image and moving towards building more luxurious properties. The government has introduced legislation aimed at protecting the coast from the worst excesses of the Spanish costas. BA this month started flying direct to Varna, and up the coast near Balchik, two 18-hole golf courses designed by Ian Woosnam and Gary Player are being constructed. An example of this more considered development is Oasis Kamchia, a low-rise holiday retreat close to the beach with gym, tennis courts and pools. But the really canny investment, and one open to those on a low budget, is to buy land, says the estate agent Iliana Yordanova of Home Cottage Bulgaria. “Plots are unbelievably cheap,” she says. “If you are prepared to look at undeveloped areas, either by the coast or inland, you can pick up good agricultural land for as a little as eight euros a square metre. The town of Kvarna would command prices of 70 euros a square metre, and Balchik 58 euros. But I have heard of a plot going for three euros a square metre inland.”With building costs very low and the nearby city of Varna now commonly acknowledged to be Bulgaria’s property hot spot after the capital Sofia, her advice looks sound. Malaysia: How Does Kuala Lumpur Compare for Residential Property?